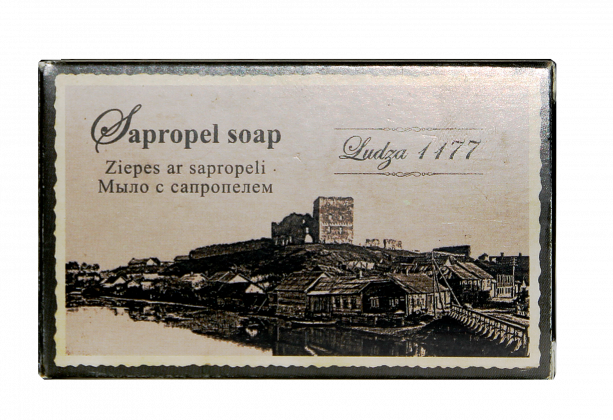 Sapropel soap brilliantly cleans the skin from the dead skin cells making it smooth and soft. Application: apply onto moist skin, gently massage in and rinse off. Contraindications: individual intolerance. Store in a dry, dark place at the temperature of +5°C up to 25°C. Keep out of reach of children. Ingredients: Aqua, Glycerin, Sorbitol, Sodium Stearate, Sodium Laurate, Propylene Glycol, Sodium Oleate, Maris Limus, Sodium Myristate, Sodium Chloride, Glyceryl Mono Laurate, Cocamidopropyl Betaine, Eucalyptus Globulus Leaf Oil, Rosmarinus Officinalis Leaf Oil, Citrus Limon Peel Oil, Sodium Benzoate (and) Potassium Sorbate, Cocos Nucifera Oil, Sodium Thiosulphate, Sodium Citrate, Citric Acid, Trisodium Sulfosuccinate, Pentasodium Pentatate, Tetrasodium Etidronate.